Beautiful, Turn key, End of Group THS, move right in!! Biggest driveway on the block, plus a 2 car garage with a workbench. Just inside the front door is a first floor Office/Den with half bath. If you need a 3rd bedroom you could convert this. Second level see the Beautiful Living room with a picturesque view of the Peninsula bridge. Watch the boats enter the cove from your private deck. Also a view of the Scott Key Bridge. The awning gives you additional shade over the deck. Wind activated awning will retract if you forget to close it before you leave the house. Beautiful wood floors flow thru the Living room Kitchen and Dining room. A huge Granite Breakfast bar easily seats 4. More matching granite counter top beside the electric range allows plenty of space for your small appliances. There is a separate dining area for your formal affairs. Kitchen also has a very large pantry closet, 42 inch cabinets and recessed lighting. A powder room is conveniently close by. 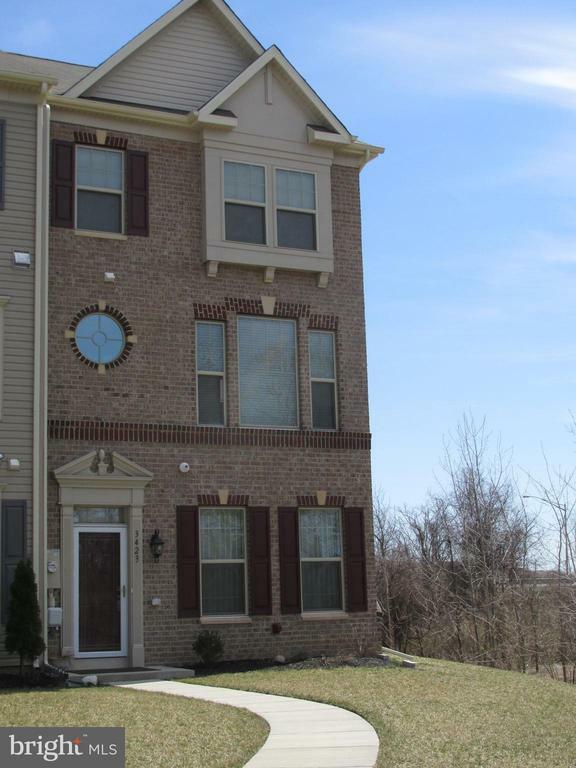 Upstairs are 2 Master Bedroom suites each with walk in closets and master baths. Just steps away in the hallway is a laundry room with a full size washer and dryer. This THS has a sprinkler system thru out. Also extra lighting outside and grills at the main level windows. Come see this beauty today. Agents Call CSS for all appointments. Call CSS. Builder Name: Calatlantic Group Inc.